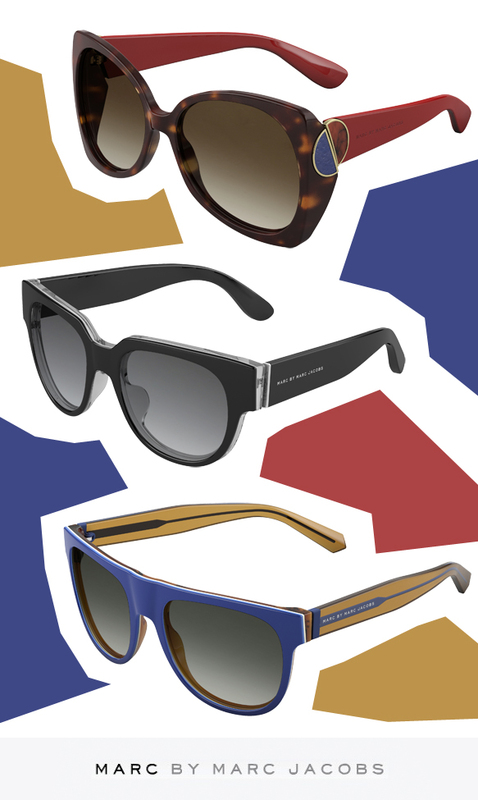 Channeling the aesthetic of old-school Hollywood—specifically in the ’30s and ’40s—the fall/winter Marc by Marc Jacobs sunwear collection is truly bold ‘n’ beautiful. Boasting chic silhouettes, refined details and rich colors, these sunnies underline the vision of classic sophistication. Variations of the primary colors—saturated red, mustard yellow and royal blue—reign supreme, with pops of jet black and tortoise. Meanwhile, geometric lines, color blocking, striped patterns, flat-top browlines and textured appliques further play up the retro-inspired angular hexagonal and rounded square profiles! Get even more deets here!